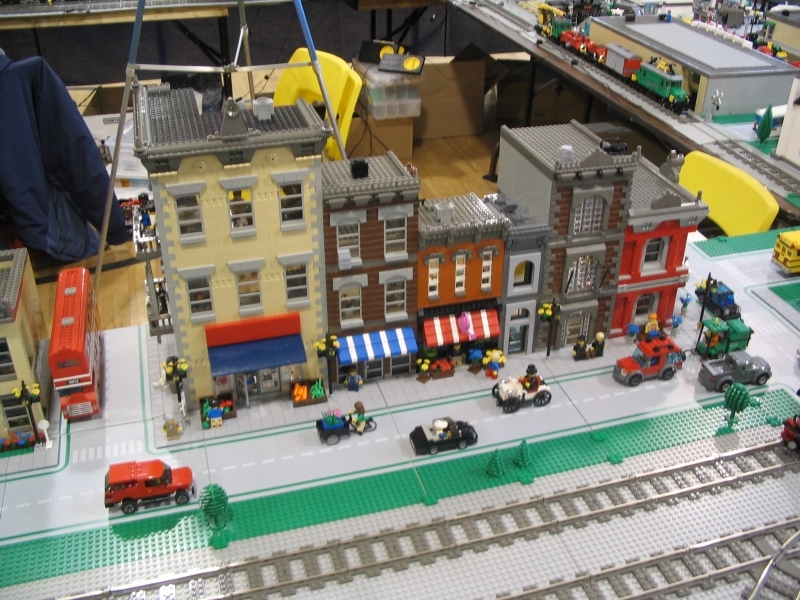 Brick Town Talk: Train exposition for Sun Youth in 2007 - LEGO Town, Architecture, Building Tips, Inspiration Ideas, and more! Love the brown and dark grey building. I just wish there was a better shot of how the effect was achieved. It looks like two layers of plates, brown and dark grey but how does does he get the depth variance between the two when their does not seem to be a gap? 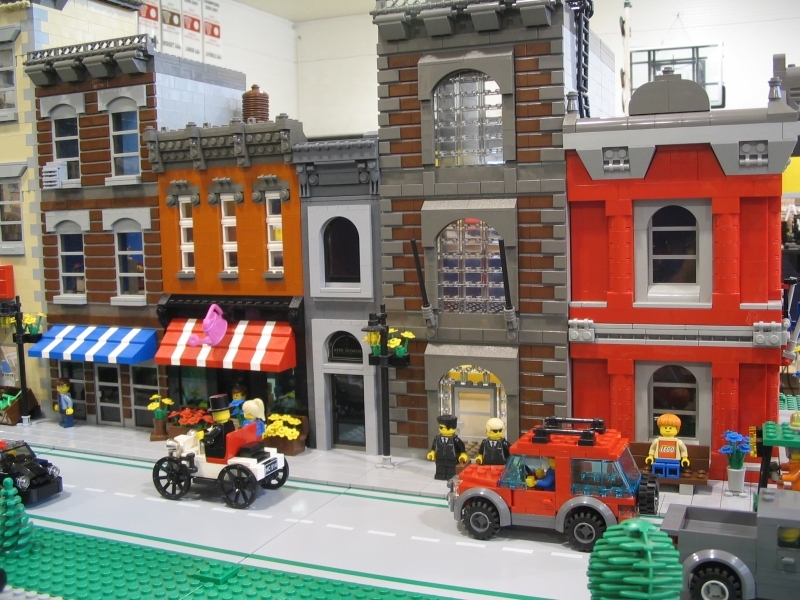 I might be wrong, but isn't it just tiles stuck on headlight bricks?